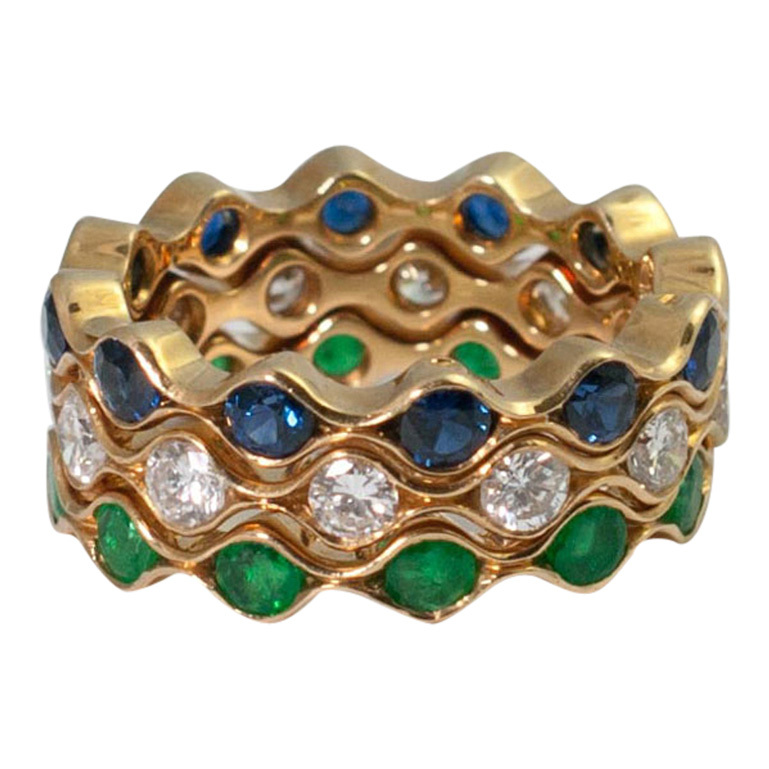 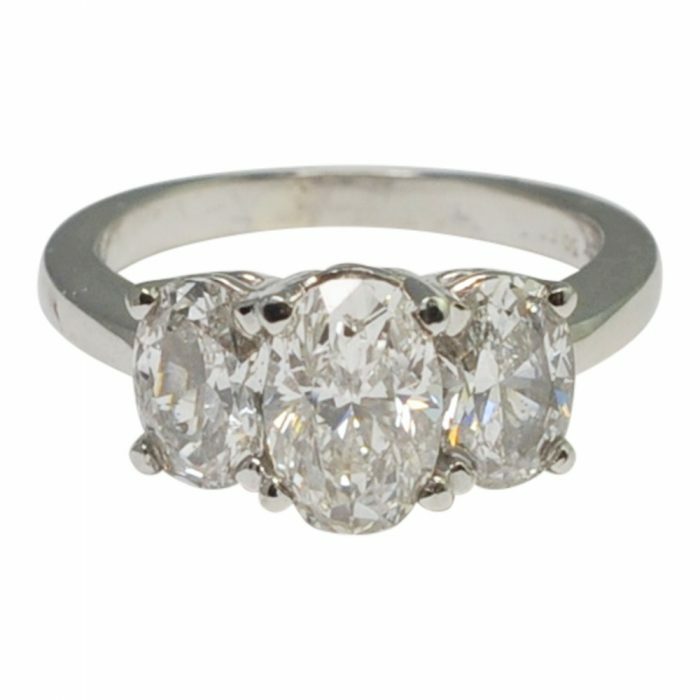 Fabulous triple oval diamond ring; this beautiful ring comes from the workshop of esteemed American jeweller Michael Werdiger. 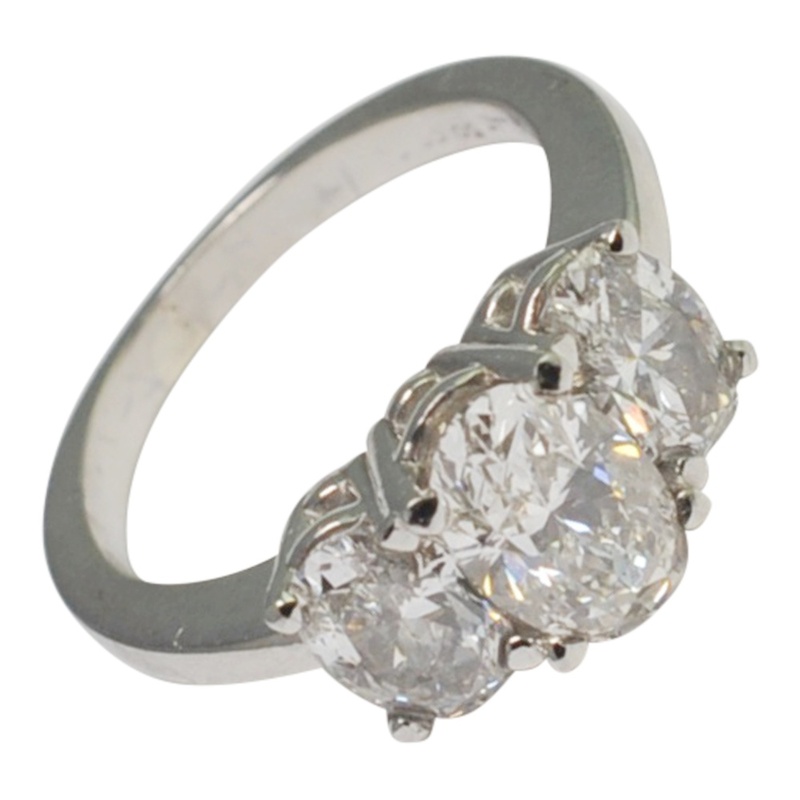 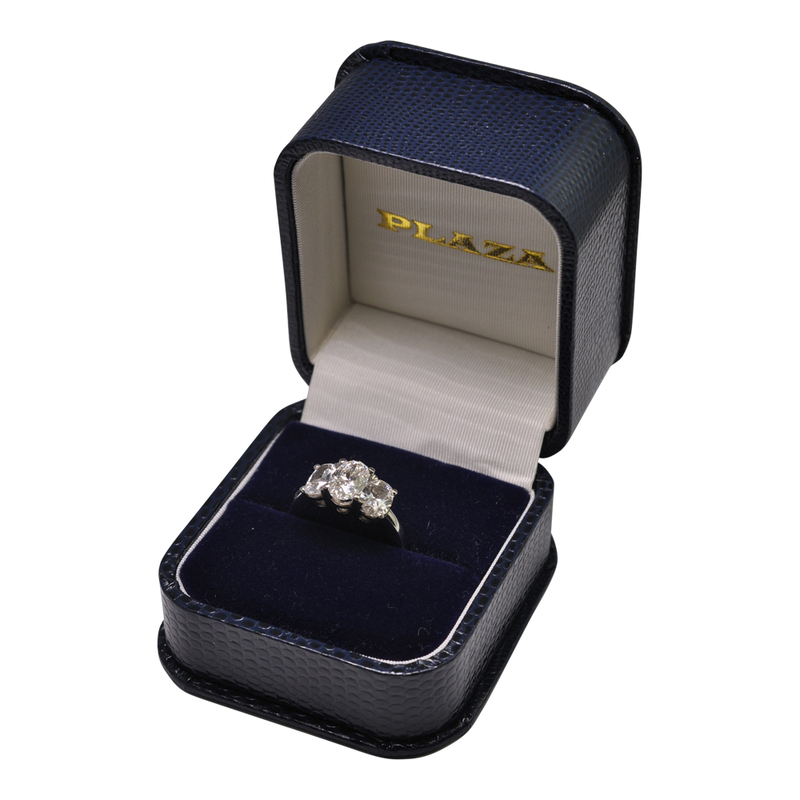 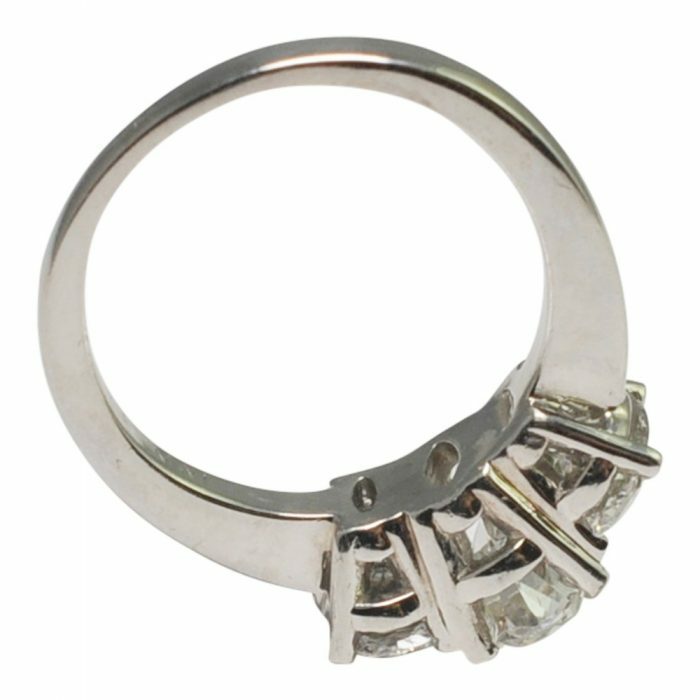 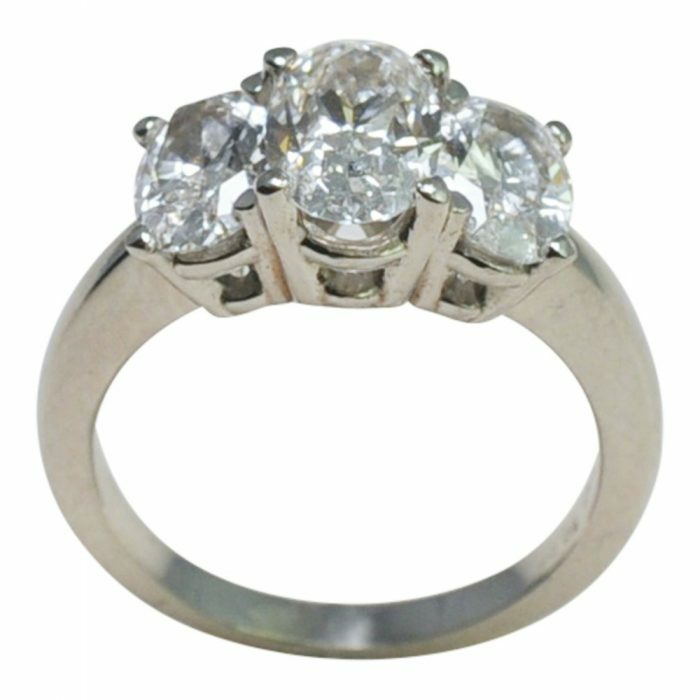 A contemporary ring, unusually set with 3 oval diamonds weighing 0.65ct, 1.28ct, 0.63ct which sits neatly on the finger due to the oval shape of the diamonds. 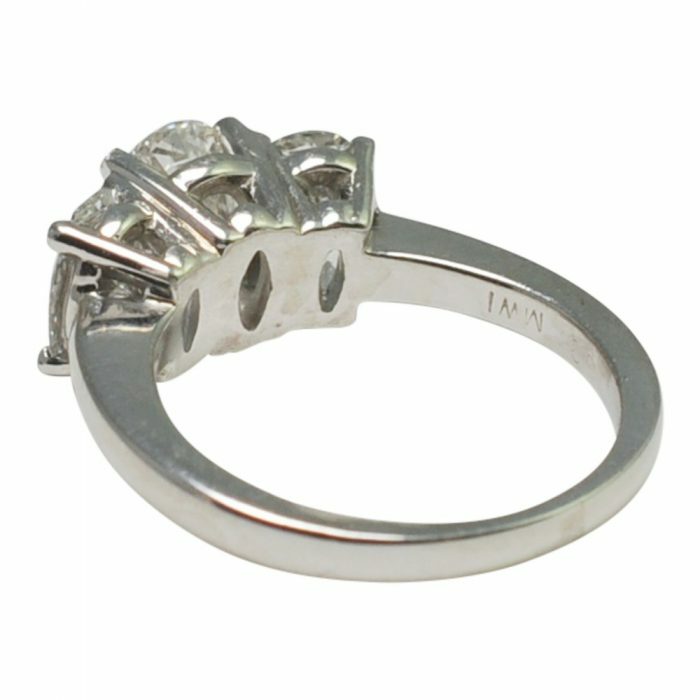 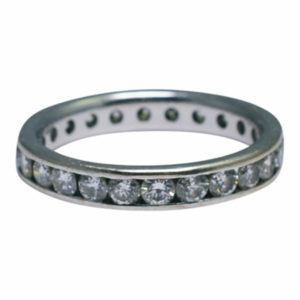 The ring is mounted on a solid platinum band, stamped 950, MWI (Michael Werdiger Inc). 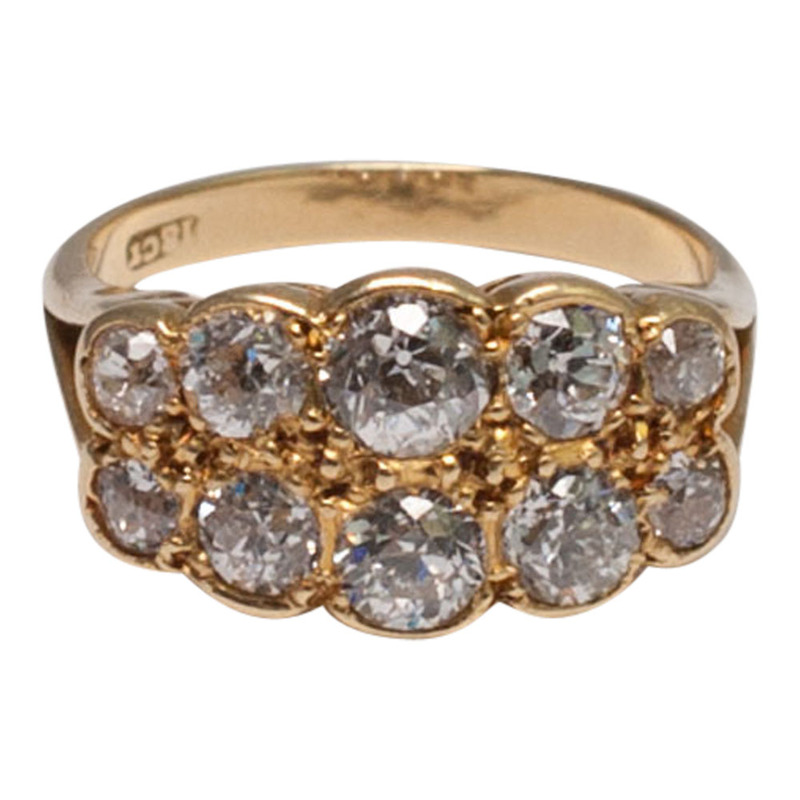 The diamonds have been graded as H VS/SI. 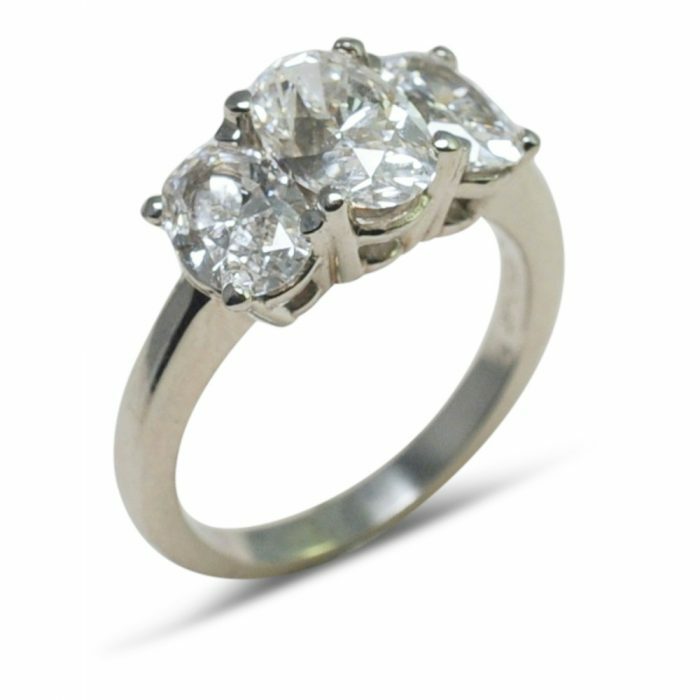 Finger size K1/2 (UK), 5.5 (US), 51 (French) which we can re-size for you if required. 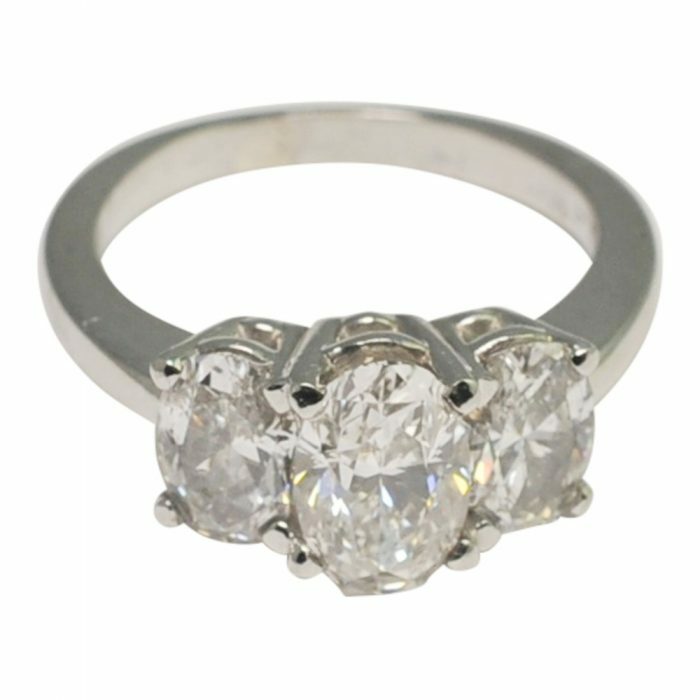 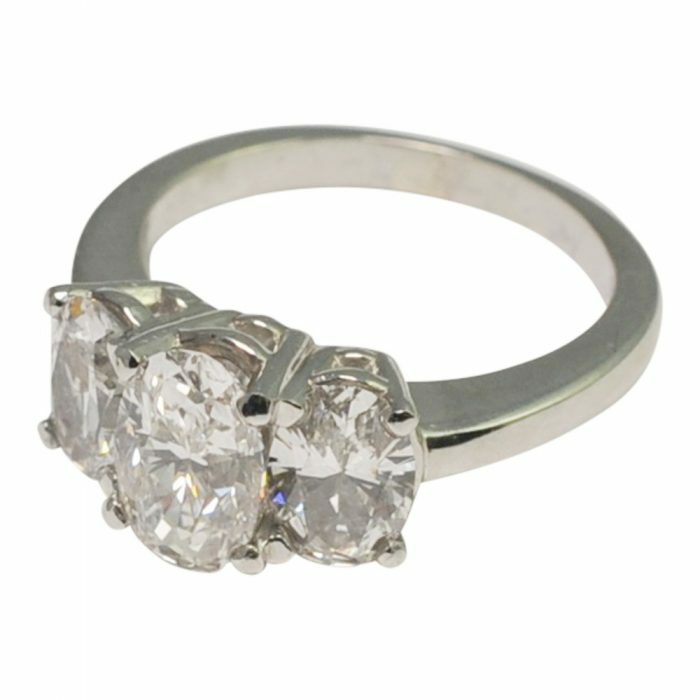 Michael Werdiger is a De Beers Sight Holder who had the pick of diamonds when creating this fantastic ring so the quality of these diamonds is guaranteeid. 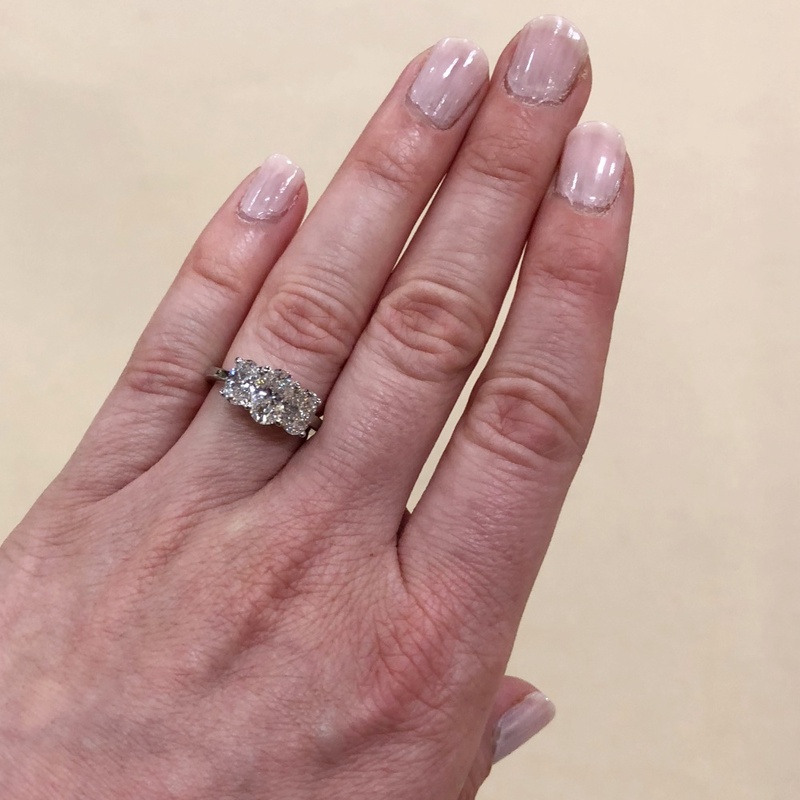 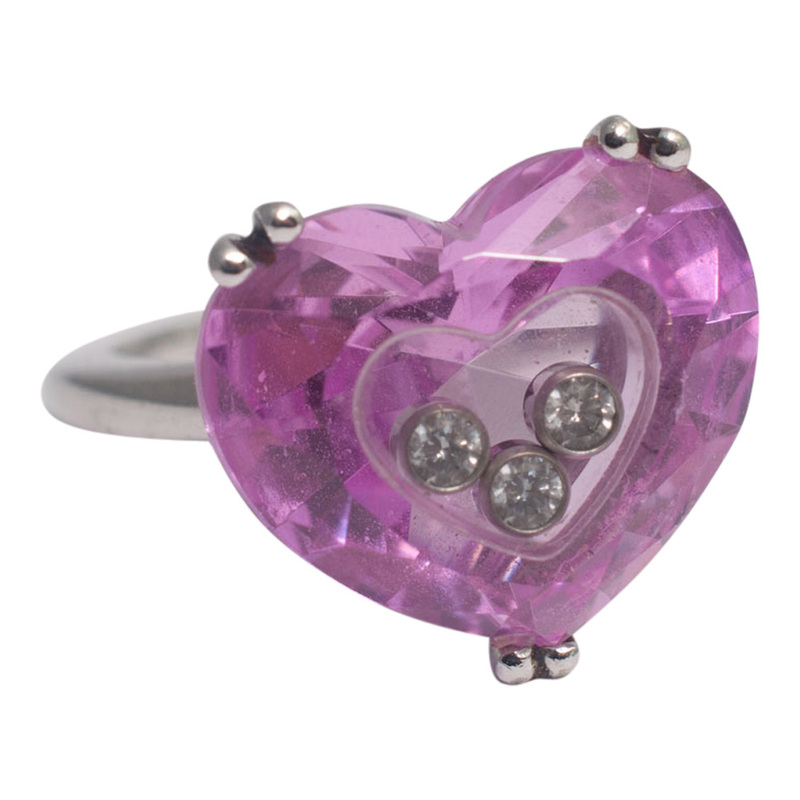 This is a fantastic opportunity to acquire a high quality ring which would make a fantastic engagement ring and would suit just about any finger.